While the number of United States passport offices have decreased by more than 10% over the past couple of years, there are still more than 8 thousand facilities where U.S. citizens can submit an application Form DS-11 and supporting documents in order to get a new passport. 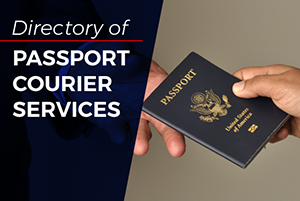 The majority of passport application acceptance facilities can be found at post offices and clerks of court. Others are located at public libraries and other state, county, township, and municipal government offices. 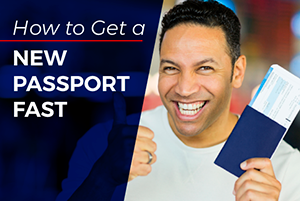 Click the appropriate link below to get a list of the passport offices in your state. When applying at an application acceptance facility, you should present the completed, unsigned application Form DS-11 and supporting documents to the authorized acceptance agent. Regular processing takes as much as 6 weeks, 8 weeks or more depending on the demand at the time. A request for rush passport processing will cut processing time by half. 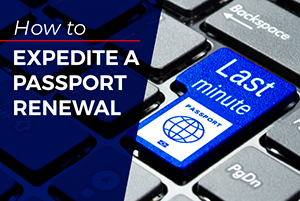 In an emergency (departure date within 14 days), arrange an appointment at the nearest regional passport agency or rush the application through a professional express passport service.